Publish directly to industry standard HTML. The HTML files are based on QuadriSpace's "Powered by Share3D" technology so that interactive 3D documents can be viewed with any modern browser on PCs, Macs, iOS and Android devices. Host the resulting files as desired. Optionally, save as a single HTML for easily sharing through email, CD or with offline computers or devices. 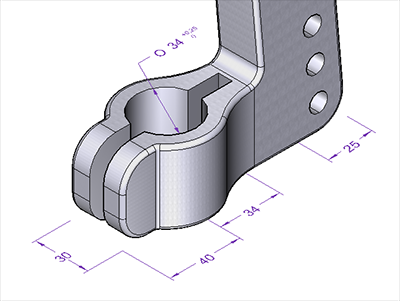 Released with 2016 Service Pack 1, PMI data can now be exported from Solid Edge and used to display accurate dimensions and annotations in your Pages3D documents and Publisher3D illustrations. PMI data can be published as part of your document to print, PDF or HTML5 for powerful interactive 3D communication. Add hyperlinks to part list cells. Use the hyperlinks to link to other pages in the Pages3D document, to external web pages or to other Pages3D documents. This is useful feature for creating parts list drill-down catalogs or links to external information such as vendor or product marketing information. 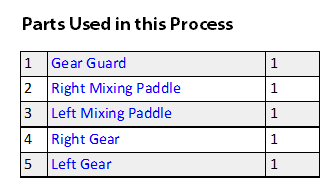 Designed to make it easy to create part catalogs with drill down features. The wizard will insert a page for each part in a parts list and then add hyperlinks to each new page from the original parts list. This makes it easy to create multiple page documents that allows viewers to start with a large complex assembly, select a subassembly and then drill down into that subassembly for further part selection and identification. This wizard is designed to make it very easy to create these complex and popular technical documentation deliverables. Easily organize and maintain large documents and encourage consistent formatting in documentation with new font and paragraph styles. Styles can be used with text boxes, tables, dynamic text and tables, buttons and more. 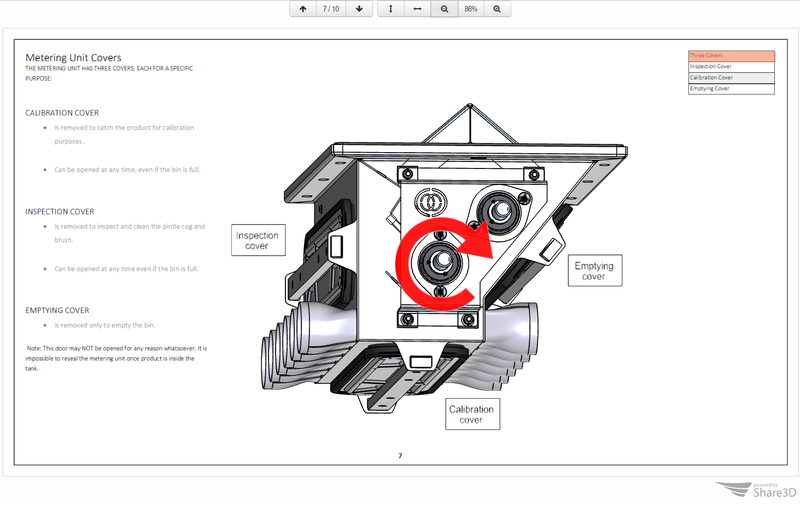 New table of contents feature leverages styles to automatically create a table of contents for your Pages3D documentation. Based on heading levels, the table of contents is easy to add to any document using styles. The 2017 release includes new modern designed templates that include support for new features like font and paragraph styles, table of contents and even templates that are ready for the use with the new drill-down wizard. Using styles with templates provides more versatility than ever before. In addition, HD and mobile device layouts allow deliverables to leverage today's technologies for optimized viewing on modern devices. Get docuemntation done more rapidly with Pages3D's updated Home Ribbon. 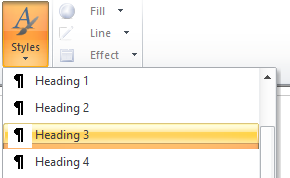 Now insert new pages and add the most common page elements without switching ribbons.